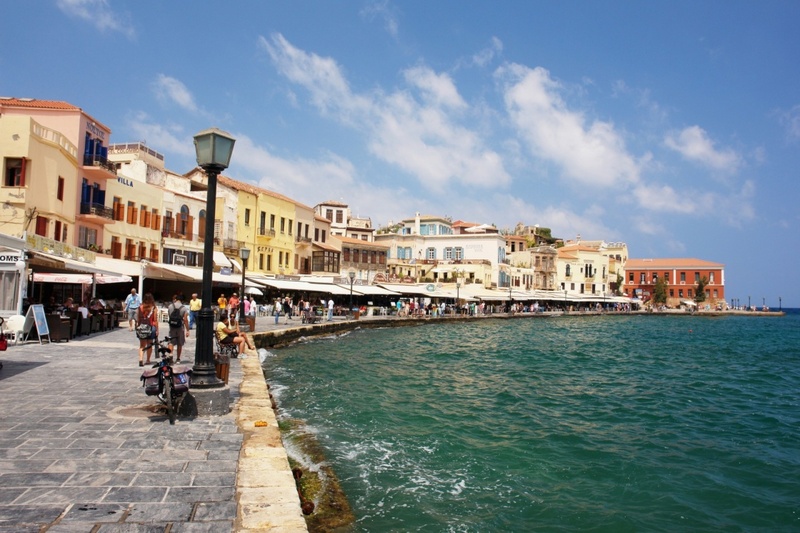 Chania Old Town has it all! A different and amazing aspect of the modern city of Chania is with no doubt the old town that offers you the chance to truly get to know the most amazing part of Crete. The old town has so much to offer you from the Topanas and the Jewish Districts, Santrivani, Splantzia and Kasteli as well as a number of narrow streets and buildings of Venetian, Ottoman and Neoclassical architecture that are jaw-draping. A mix of Ottoman and Venetian architecture is held in front of your eyes when walking around the old city. The old town around the old Venetian harbor will unravel to you its history from the glorious ancient Minoan times through the Ottoman Turkish period. Astonishing buildings like venetian town houses and villas to a more Eastern vibe with the town’s numerous Turkish houses, mosques and churches there is no question were the area’s diversity came from. The old city of Chania however is offering an amazing walk to anyone who wishes to travel back in time without being a “Dead” city. Take your time to walk around there and feel the magic of the old city casting a spell on you. Try the local delicacies and live like the locals by trying raki or ntakos, the famous Cretan Greek salad, popular all over the world and get an instant love for Mediterranean cuisine! Escape from all the hassle and the noise with an amazing walk around the old city of Chania and you will see for your own that at every corner you will discover something different. Feel the Cretan hospitality and let the area’s magic take over you. Full of picturesque hotels and cafes and little taverns this is the place to go if you wish to live like a true Cretan and enjoy all that is promises: quality food, excellent beaches, amazing places in the most popular Greek island.